Many Americans may view a welding degree program as a man’s opportunity. It takes a bit of tenacity to step into a career that’s traditionally been dominated by men; some worries may include being underpaid or not taken seriously. However, women have been in the welding industry since World War II when they were recruited for the war effort. Here are five stories of successful women who chose this promising career path. Nancy Cole: Cole was the 2013 president of the American Welding Society. She was the first female to graduate1 from the University of Tennessee with a degree in metallurgic engineering in 1963 and has made her career in research on the corrosion resistance of brazed joints. Ms. Cole has organized conferences, published papers, and was one of the first women to become active in the society. Charron Wynn: Wynn studied welding and other applied sciences at a welding college. Educators initially tried to expose her to other fields typically associated with women, such as nursing, but she preferred working with her hands. Wynn took up arts and crafts before finding welding. Becky Lorenz: When Lorenz was in high school, there were no welding classes for girls. She successfully petitioned her school to take the boys-only class. Today this trailblazer owns her own shop and encourages other women to join the industry. 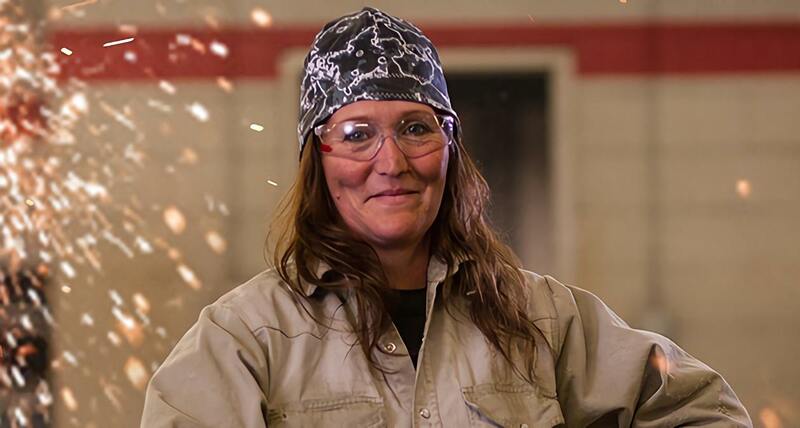 Many aging welders are retiring, leaving plenty of room for both sexes to take up the trade. By some estimates, demand for skilled welders will rise by 30 percent through 2024. The pay isn’t anything to scoff at either: it can range from $30,000 to upwards of $90,000 depending on the expertise and amount of overtime a welder is willing to put in. There are some aspects to welding that have typically been thought of as masculine due to the amount of physical labor. Today, thanks to robotics, female welders don’t need the strength once necessary to lift 50 pounds or more. Also women welders tend to be naturally equipped for the spatial relations and fine motor skills necessary in welding. Many women are finding that they are not only in demand in the field but also that they enjoy the sense of accomplishment in the work. There are many opportunities for men and women with welding training, and the need for skilled workers will only grow as older welders retire. If you’d like to learn this in-demand skillset, contact Tulsa Welding School today to learn about the 7-month welding training program.